The North Yorkshire Moors Railway (NYMR) is an award winning heritage railway which attracts around 350,000 visitors annually. It's a charitable trust which owns and operates around 18 miles of railway through the stunning North Yorkshire countryside. Running a 180-year-old railway, complete with steam and period rollingstock requires the support of 100 employees, 1,000 volunteers and around £1m per year to operate. The railway has recently been awarded £4.6m by the National Lottery. This funding will go towards NYMR’s Yorkshire’s Magnificent Journey, a £9.2m sustainability project aimed at securing the future of the railway. 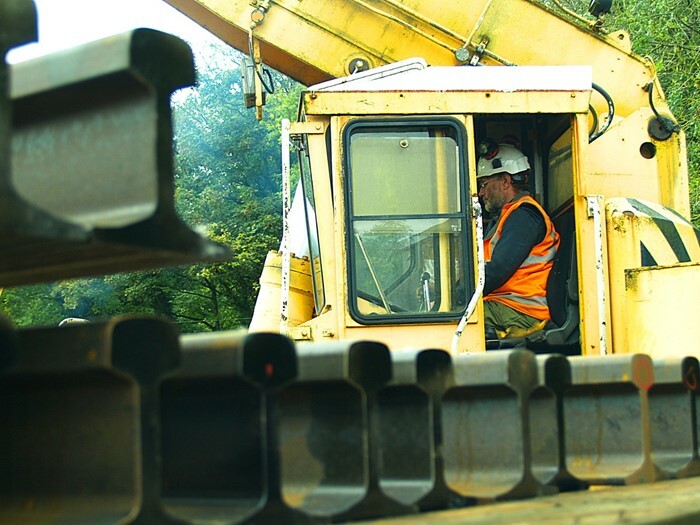 The project boosts investment in the infrastructure and the activities of the railway to help ensure it can continue to operate successfully for the next 50 years. One of the headline projects on this journey is the construction of a covered stable facility for storage and maintenance of up to 40 carriages from the historic and irreplaceable fleet to reduce decay and ease maintenance. As a supplier to railways both big and small, new and old, British Steel rail is being used by NYMR to support its operations. 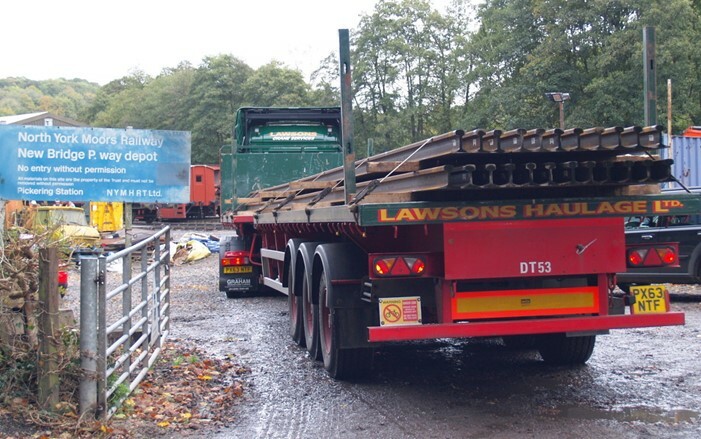 The latest deliveries of rail to their New Bridge depot just outside Pickering were delivered by Lawsons Haulage. 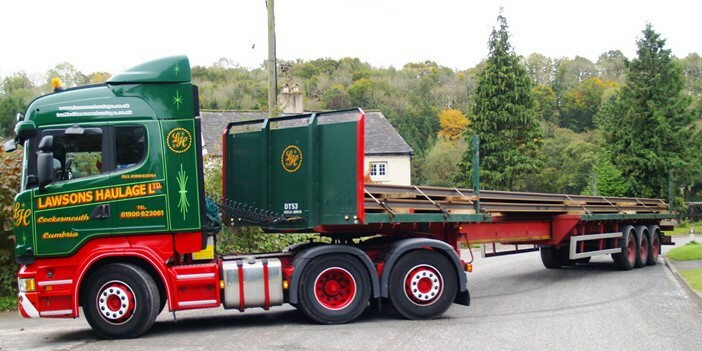 Once the delivery lorry was expertly manoeuvred down the country lane into the depot, the 60 foot long rails (18.288m in modern parlance) were transported from the lorry straight onto delivery rolling stock by rail crane. Driving the crane was Martyn Cannings who led the NYMR Permanent Way team unloading operations. Martyn, NYMR Permanent Way Supervisor said: “Rail is an important part of running a railway, and vital to our future plans with both renewal of track and creation of our new carriage storage, both requiring steel supply. 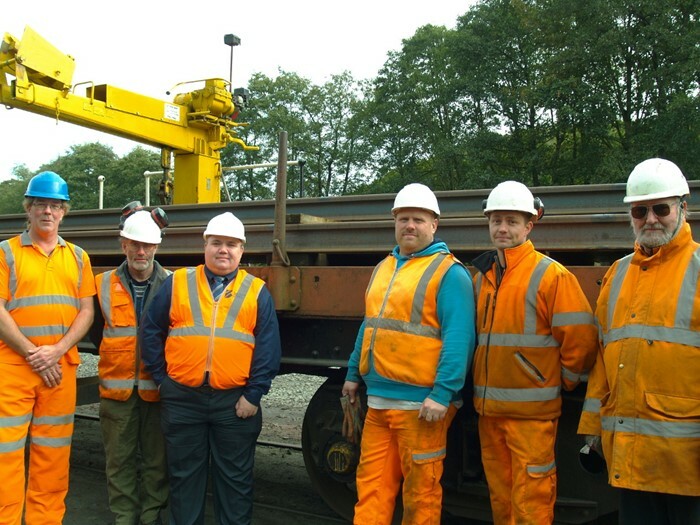 Assisting with the rail delivery were (L-R): Simon Cutler – Lawsons Haulage, Martyn Cannings – NYMR, Darren Cole – British Steel, Darren Lonsdale – NYMR, Peter Smeaton – NYMR and Alan Turner – NYMR. 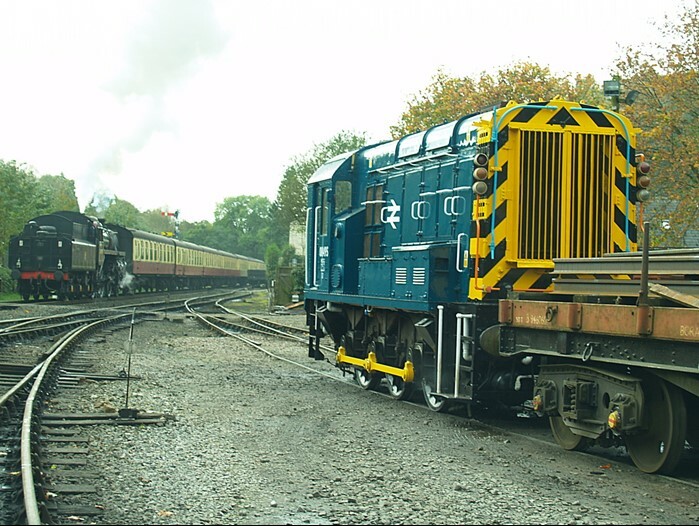 British Steel has supplied NYMR for a number of years and is proud to be able to supply heritage railways both big and small that celebrate our rail history and preserve it for future generations to enjoy. It isn’t often our rail deliveries are interrupted by steam passenger services and it made this one just a little bit more special. If you want to find out more about the North Yorkshire Moors Railway then visit their website. Or take a look at the recent TV series on Channel 5 which takes a behind the scenes look of the running of this heritage railway. 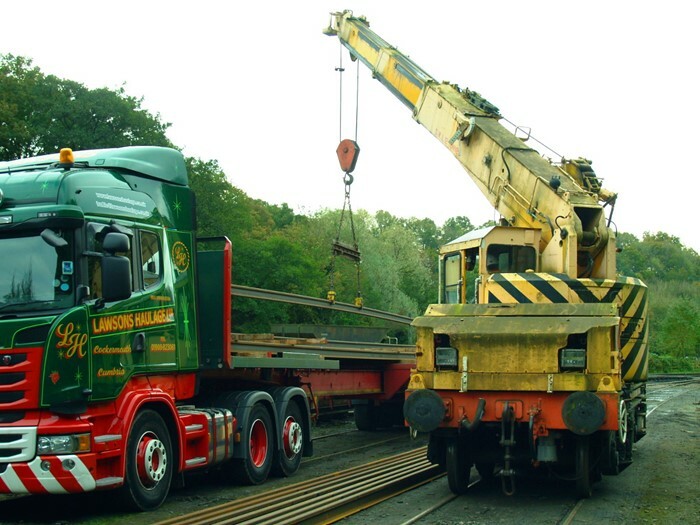 Rail is an important part of running a railway, and vital to our future plans with both renewal of track and creation of our new carriage storage, both requiring steel supply.